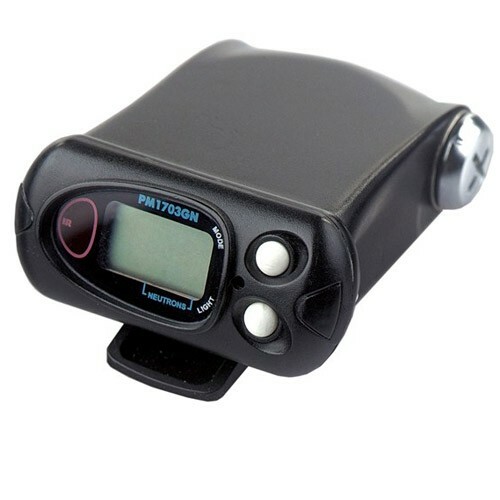 Personal Radiation Detector (PRD) PM1703GNM is a device which combines sensitivity with precision for detecting and measuring harmful radiations. It is ergonomically designed for searching nuclear and radioactive materials as well as measuring dose and dose rate of gamma radiation. The dual purpose PM1703GNM lets you detect and locate both gamma and neutron radiation sources. The advanced gamma-neutron detector PM1703GNM is user friendly and easy to operate even by non-technical personnel. Any professional knowledge of radiation is not required for using the device. It is indispensable equipment for police and other special wings dealing with emergency services and border patrol. The PM1703GNM integrates functionality of a personal radiation detector and gamma dosimeter. The instrument is equipped with three operating modes for the purpose of searching radioactive and nuclear materials along with measurement of dose equivalent (DE) and dose equivalent rate (DER). It serves the purpose for a wide spectrum of users both indoors and outdoors. 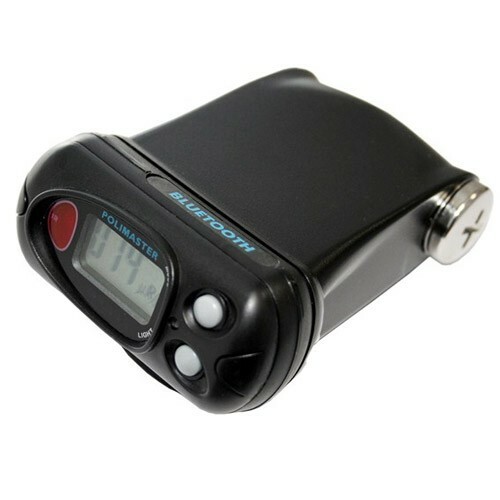 Personal radiation detector PM1703GNM is professionally designed to be a smart and user friendly device. 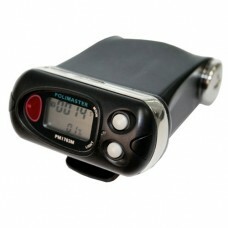 Characterized by compact dimensions and light weight, the instrument comes with a water resistant and rugged enclosure. It’s uncomplicated and easy to use features makes it highly desirable by fast responsive services. The Control Panel has only two buttons making the instrument fundamentally simple. Personal radiation detector PM1703GNM is distinguished by light weight, compact size, water-resistanse and rugged enclosure. Another feature that makes the instruments very useful especially for fast response services is simplicity of operation. Control panel has only two buttons. Measurement of ambient dose equivalent of gamma radiation. The device is endowed with a built-in LCD that displays the average gamma and neutron radiation count rate. 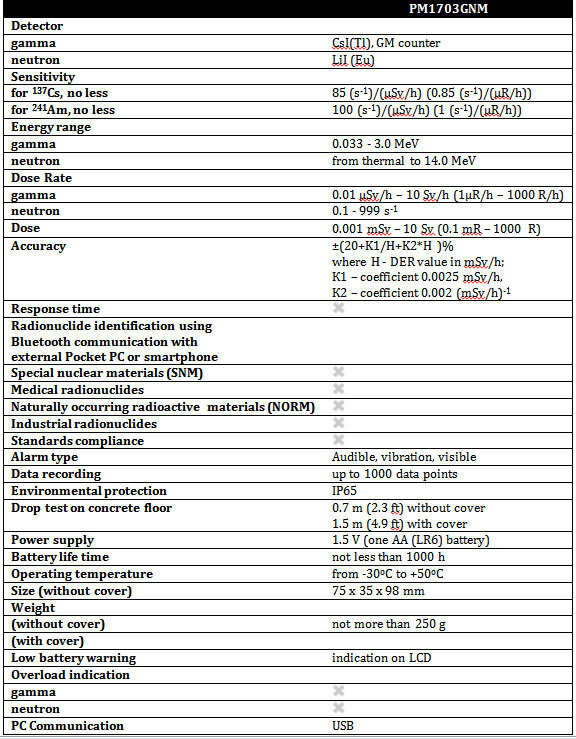 When gamma or neutron radiations go beyond the threshold level, the sensitive device warns the user by the Audio, visual, and vibration alarms. Instrument’s operation history (up to 1000 data points) is stored in the detector’s non-volatile memory. All data can be transferred from the detector to a personal computer (PC) via USB. The high precision tool is equipped with a non volatile memory that stores operation history (up to 1000 data points). It gives the facility of transferring data to a PC via USB. Small-sized GM tube detector for measuring gamma radiation in the wide DER and DE range. The scintillation counters are highly sensitive for detecting even the slightest amounts of gamma and neutron radiation emitting materials. The extra GM counter facilitates accurate measurement of gamma radiation DER. The high precision device provides measurement in the wide range of up to 10 Sv/h (1000 R/h) and DE up to 10 Sv (1000 R). 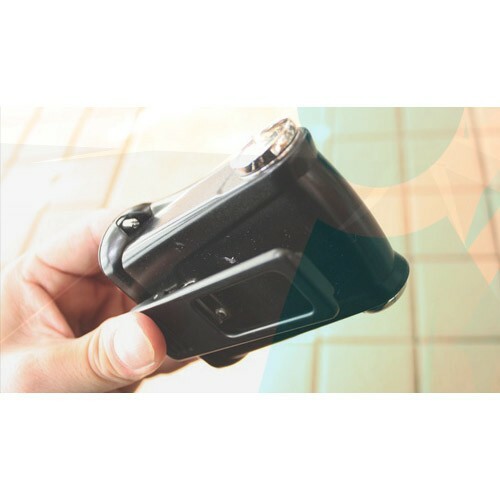 PM1703GNM is a pocket-size and light-weight device. Shockproof hermetic case provides high level of environmental protection (IP65). The instrument is powered by a 1.5 V battery. 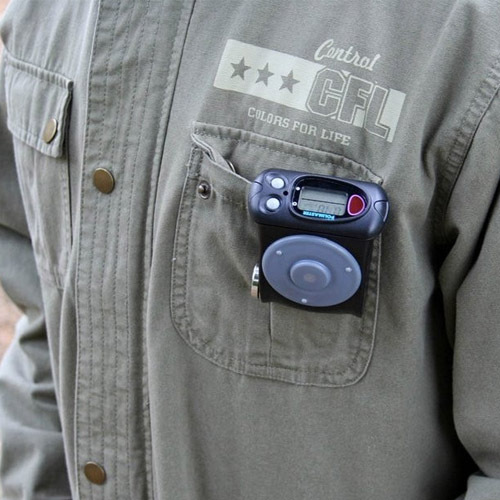 The instrument is equipped with a removable clip that allows the user to wear it on the belt.